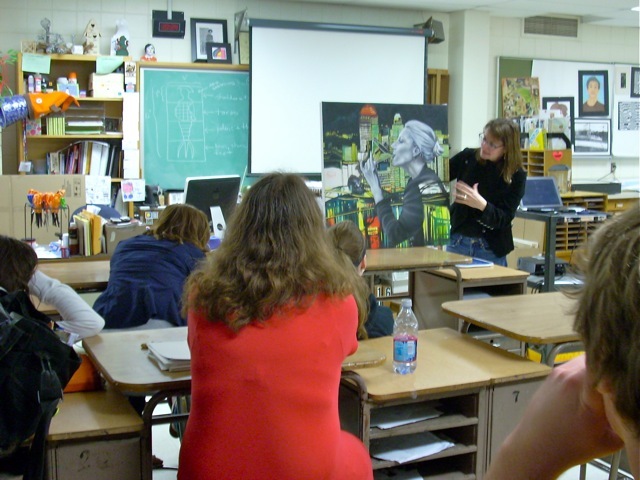 Nova Czarnecki is a local Milwaukee artist who came to talk to the Advanced 3D students for part of the Artist Lecture Series here at North High School. Her work, which is mostly oil paintings of people, all represent symbolism or stories of different sorts. Some of her painting topics include bird’s, women, orb’s of light, the woods, and her experiences or travels. Czarnecki also paints her fears in order to work through them to the point she no longer is afraid of them.